For almost ten years now the Cleveland Mining Heritage Society (CMHS) has been hard at work discovering and exploring the mining history and related industrial archaeology of Cleveland and North Yorkshire. Old ironstone and lead mines, alum quarries, jet and cement workings and whinstone mines have all been explored. The local geology and working practices are analysed and the findings are used to update the historical record of the workings. As they dig out old mines they discover artefacts such as powder flasks and barrels, shoes, hats and clay pipes and, in one instance, after being hidden for 150 years, clog and hobnailed boot prints. 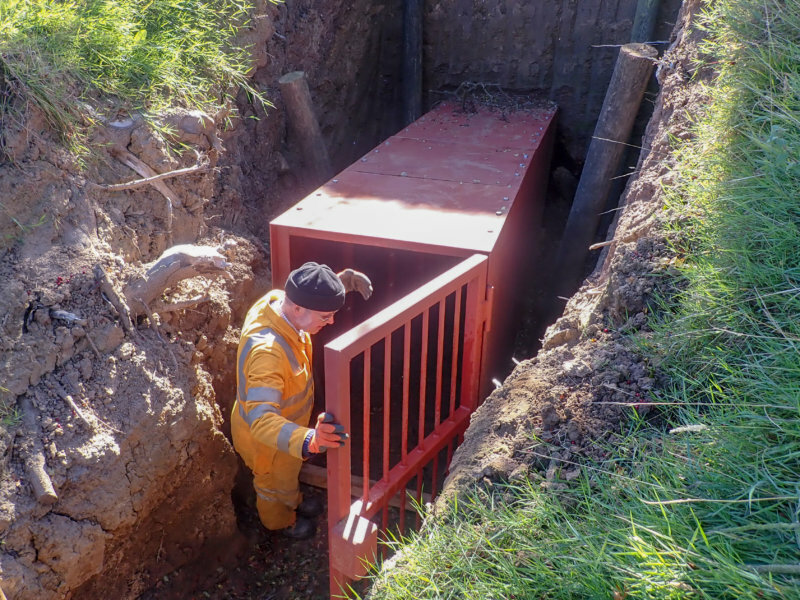 But their efforts unintentionally create hazards for curious members of the public unaware of the potential dangers inherent in the workings: “We look after old mines, often digging out drifts closed long ago,” said Simon Chapman, founding member and secretary of CMHS. “This causes us concern for members of the general public regarding the threat of bad air and possible roof falls. There is another problem too. We enter mines that contain footprints, rail prints and artefacts undisturbed for 150 years. It is heartbreaking to find intruders unthinkingly destroying them,” he added. However, people with a genuine interest can be taken underground as long as they contact CMHS and are prepared to undertake the necessary training for adequate equipment and guidance. “Mining history is a fascinating subject but we want it to be done in a safe and responsible manner,” said Simon.